SNoG members receive discounts for SNoG Events, but also receive specials and discounts at different locations around Canberra thanks to the generosity of our sponsors. This list will only continue to grow as we confirm more 2018 sponsors- watch this space. If you are considering becoming a sponsor – head ‘become a sponsor‘ and someone from our sponsorship team will be in contact. A boutique, heritage listed hotel in the heart of the Parliamentary circle, on the National Circuit, in Barton. This central position places you close to the current and old Parliament Houses, as well as many other Canberra national archives and galleries. Adina Serviced Apartments Hotel Canberra, James Court, is located in the heart of Canberra, on Northbourne Ave, close to the city centre. This is an ideal location for corporate and convention delegates with convenient access to the National Convention Centre, Kingston, the CBD and major landmarks, including Capital Hill and Parliament House. Less than 10 minutes from Canberra’s CBD and 50 metres from the airport terminal, you’re as connected to the city as you are to the sky at Vibe Hotel Canberra Airport. The hotel features 191 stylish and spacious guest rooms, including 12 First Class rooms and 9 one and two bedroom apartments. Features include a soaring atrium boasting a large reception area, bar, state-of-the-art conference facilities and Helix Bar & Dining, a modern European style bistro, incorporating culinary delights from the Capital region. Adina Serviced Apartments Canberra Kingston is centrally located in one of Canberra’s most exclusive districts, just five minutes from Parliament House and a few hundred metres from the historic Manuka Oval. Adina Serviced Apartments Canberra Dickson’s spacious rooms and central location make it ideal for the modern explorer. The 10% off the hotel’s fully flexible rate will be valid until the 31st December 2018 ( excluding block out dates). members will be able to book and pay for their own accommodation. Rates and allocations are subject to availability at the time of booking. From time to time the hotels run specials with strict terms and conditions such as fully pre-paid and non-refundable. Those specials have a limited inventory and will be visible through the link. 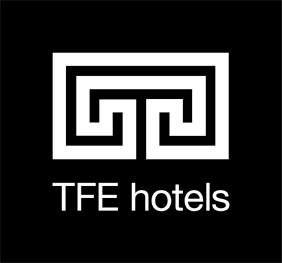 TFE Hotels, headquartered in Australia, is an international hotel group operating in Australia, New Zealand, Germany, Denmark and Hungary.